Here’s some news to take your breath away — Top Gun 2 is finally happening, and it’s in production right now. The sequel to Tony Scott’s 1986 fighter pilot action-drama has been stuck on the highway to the danger zone for years now, but according to Tom Cruise’s social media accounts today is officially ‘Day One’ on the project. The sequel is thought to be titled Top Gun: Maverick, with Cruise returning in that titular role, while Oblivion director Joseph Kosinski is stepping behind the camera (in slow motion, against a hazy orange sunset). 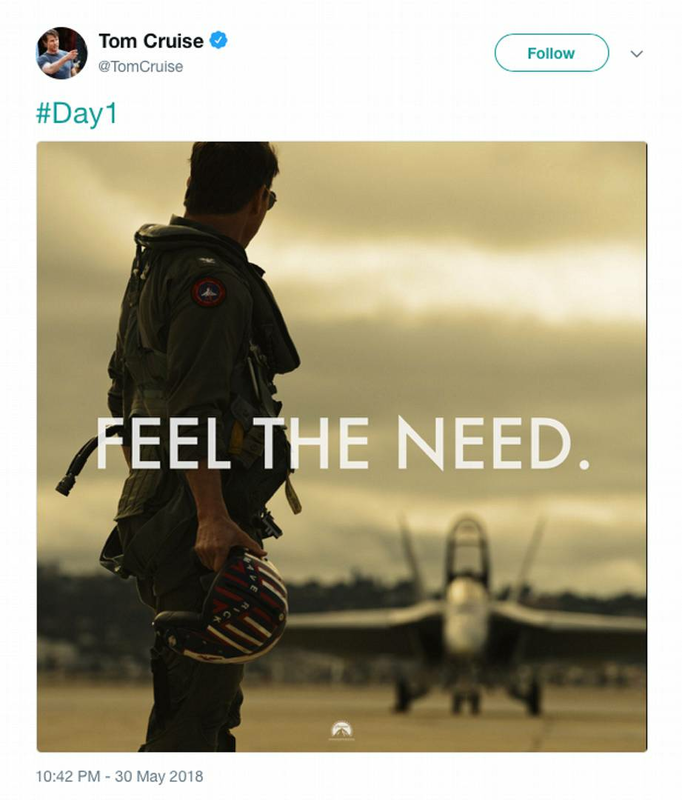 Cruise shared a picture on Twitter showing him back in his flight gear, clutching his Maverick helmet (oo-er), with the classic tagline ‘feel the need’. That, obviously, being the need for speed. The sequel is coming from Paramount and Skydance, with Jerry Bruckheimer producing, and a screenplay by Peter Craig and Justin Marks, who have separately scripted the likes of The Hunger Games: Mockingjay, The Town, and Disney’s latest Jungle Book. Top Gun: Maverick is currently heading down the runway for a 12 July 2019 take-off. Expect delays if the cast get waylaid by impromptu beach volleyball matches.